Farewell March, hello April! I don’t know about you, but this year seems to be going at two different speeds for us. It’s zooming by on one hand, and yet it also seems to be crawling past in slow motion, packing more and more into each week for us as time progresses. 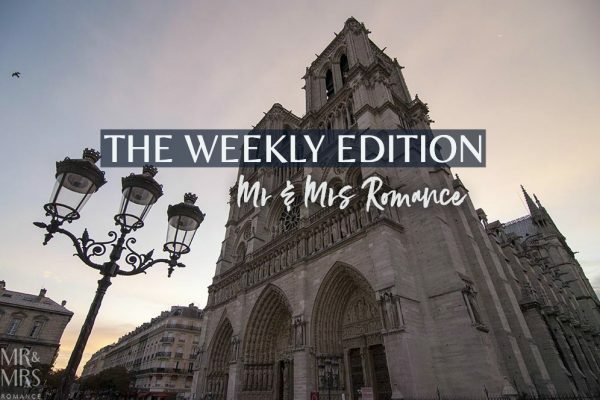 This week is a great example. We’ve been planning and looking forward to our trip down the South Coast of New South Wales for ages, but at the same time it feels like only yesterday that we first had plans. 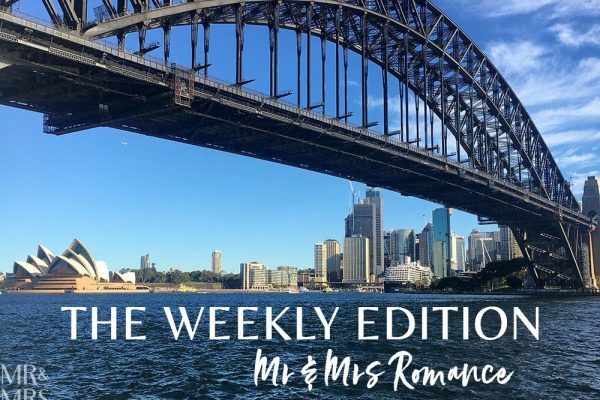 In this Weekly Edition, we’re showing you a glimpse of our anniversary celebration down in Mollymook at the beautiful Bannisters by the Sea, we’re at an amazing friend’s book launch (check out how you can win a signed copy of Her Middle Name is Courage here) and we have a new special edition coffee to try – with pure gold flakes no less! 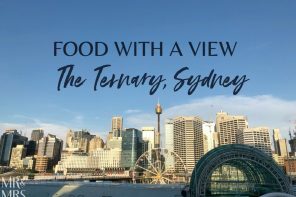 There’s also the ubiquitous and unreasonable amount of food to tell you about and some top tips on places to go in Sydney and in the Shoalhaven region too of course. 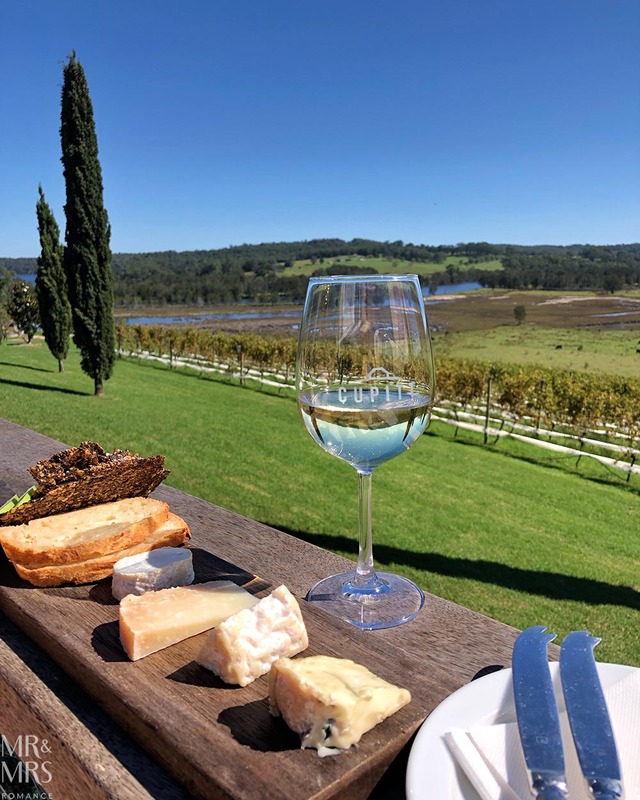 The drive down to the South Coast and Shoalhaven region of New South Wales is an easy 2-3 hours depending where you’re stopping. We’re on our way to the excellently named Mollymook, which is a coastal town ¾ through the Shoalhaven. It’s great being back on the road again. Christina and I love a road trip, and even more so when we’re celebrating. Our wedding anniversary is 8th March, but because the month was so busy, we decided to delay the day for when we’re away. 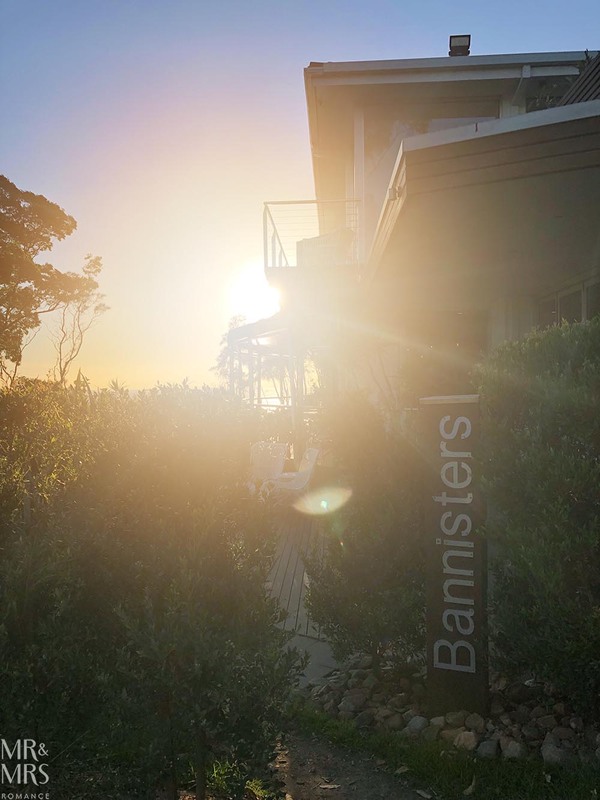 The reason we’re heading to Mollymook is to check out Bannisters by the Sea, a highly regarded coastal retreat hotel. It’s also home to one of famous chef Rick Stein’s seafood restaurants, which is also very exciting for us. 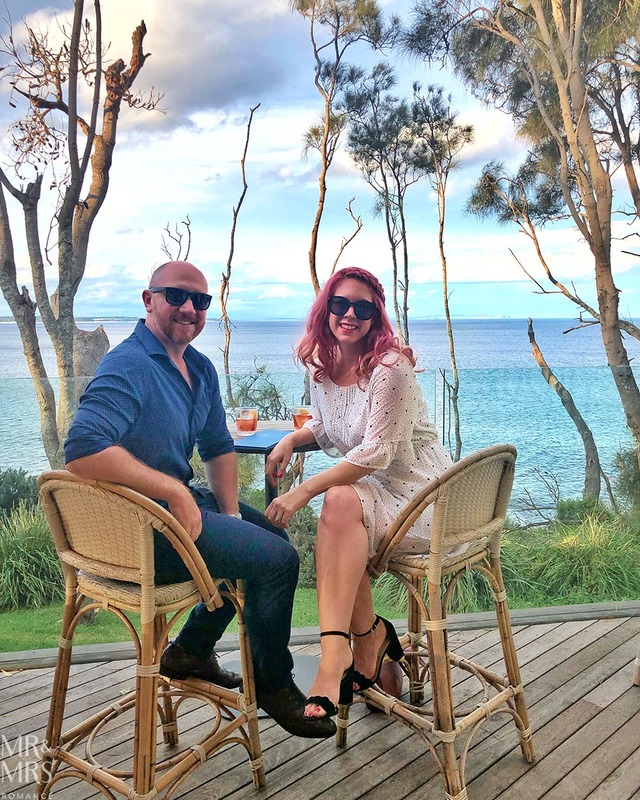 Here’s a quick highlights reel of our time at Bannisters by the Sea – but we’ve also written a full hotel review of Bannisters by the Sea here plus an entirely separate restaurant review of Rick Stein at Bannisters here. Bannisters is named after the little headland it sits on that juts out between the two beautiful beaches of Mollymook. 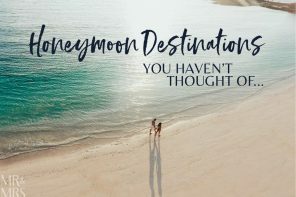 It was once a road-stop style hotel but owner Peter Cosgrove (not the ex-Attorney General btw) flipped it into a luxury retreat style hotel that takes full advantage of its unique location and the spectacular views that come with it. The lovely thing about this property though, is that it has held onto that mid-century modern feel of the original motel. Far from making the place feel dated, Bannisters has a wonderful retro vibe that somehow puts you at ease. Other hotels have done similar things since then. 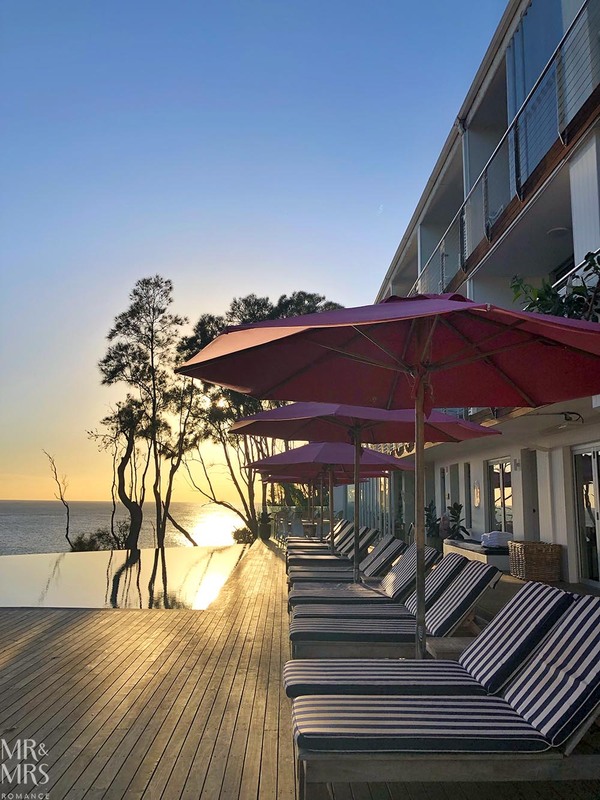 Halcyon House at Cabarita Beach in northern NSW and the Ace Hotel and Saguaro in Palm Springs in the States have utilised the good bones of old motels to create amazing places to stay. But Bannisters did it first and did it well. Our room – a Spa Retreat room – is lovely. Spacious and well-appointed, it has all the creature comforts and mod cons of a contemporary hotel but with a few cool things added in. 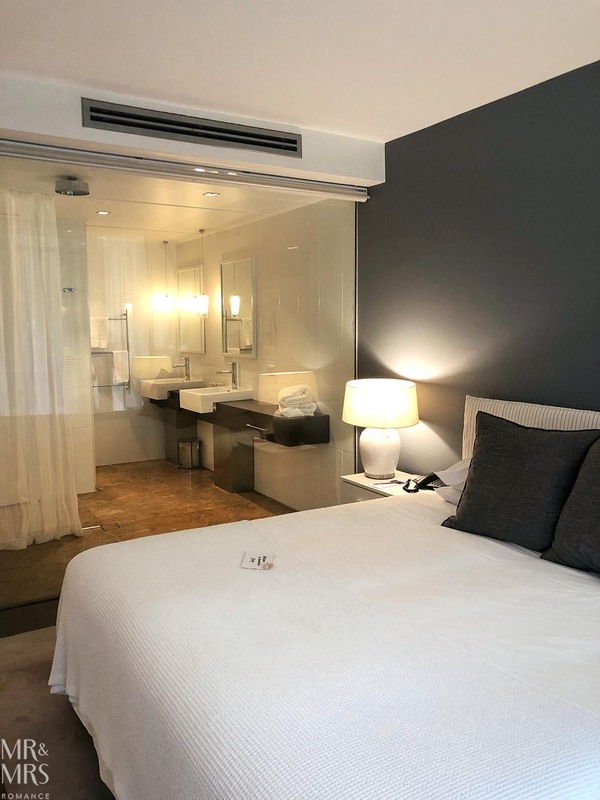 The giant window/wall separating the bathroom and the bedroom makes the room feel bigger and gives you lots of natural light in the bathroom too. Don’t worry though, if you want some privacy while you’re taking a shower, there’s a roller blind you can pull down too. But this is really the drawcard for this room. The hot tub on your own private wooden deck overlooking the ocean is bliss. On the lower levels of the hotel is the pool bar with its amazing infinity pool, loungers and private cabanas. The bar itself has vistas over the water and down to the beach, and the cocktail and food menus here are very tempting. If nothing else, you should come down here for a negroni. They make them well here. 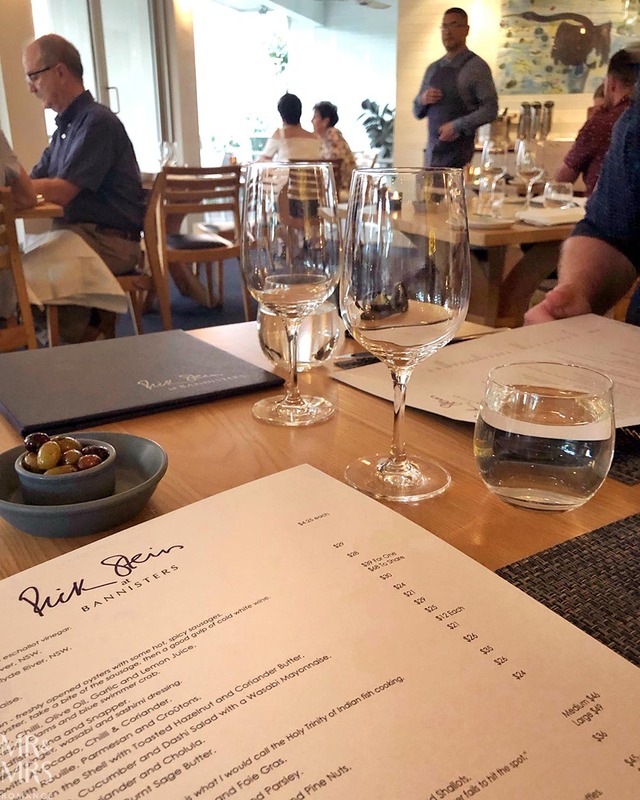 We’re very excited to be dining at Rick Stein’s onsite restaurant tonight. We’ve both been big fans of his for so long and have watched so many of his cooking shows. 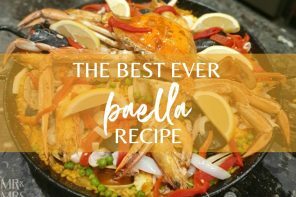 The smell of fresh seafood cooking in the kitchens as we walk in has our stomachs grumbling even before we’ve heard the specials or looked at a menu. 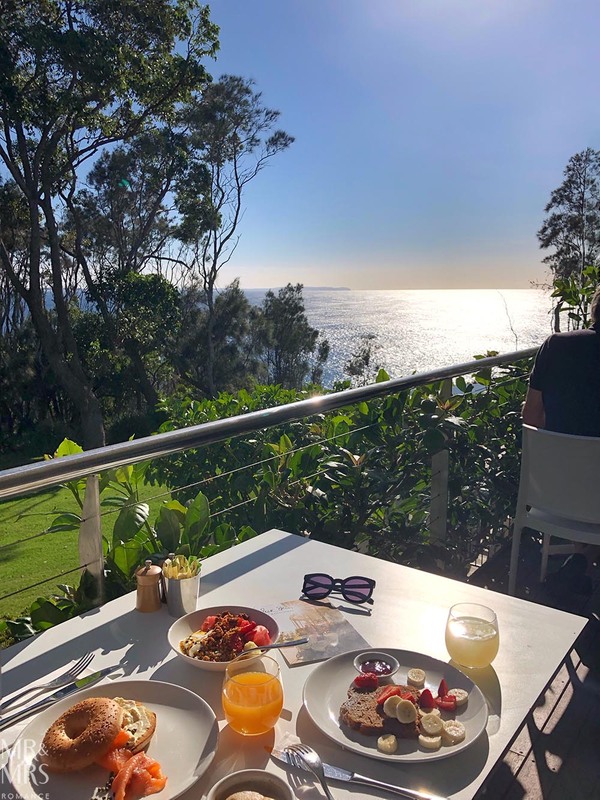 Breakfast at Bannisters by the Sea is a relaxed yet refined affair. The continental style buffet and bagel station has plenty to tempt you without over-filling you. No point eating so much there’s no room for all the other delicious places to try in the area. The view though is a thing you can never over-indulge on. After breakfast, we hit the road to explore the surrounding area. 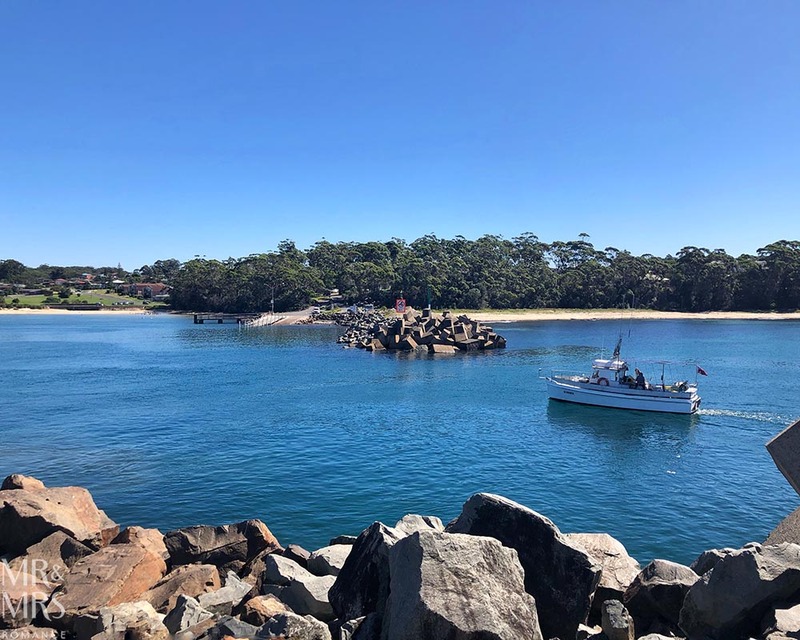 Ulladulla – probably the biggest town in the direct area – is as cute as the other towns of Mollymook, Narrawallee and Milton, just bigger. It also has a working fishing port, where you can watch the boats coming in with their hauls, working in drydock and rigging up for the following day. There’s also a fish and chip shop here that’s supposed to be pretty good. 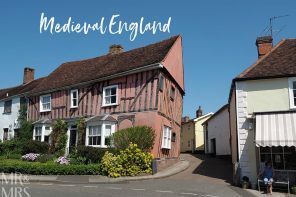 Our next stop is on the way to Milton, an adorable little town inland from Mollymook. We didn’t realise that there were any wineries in this area, but we stand corrected. 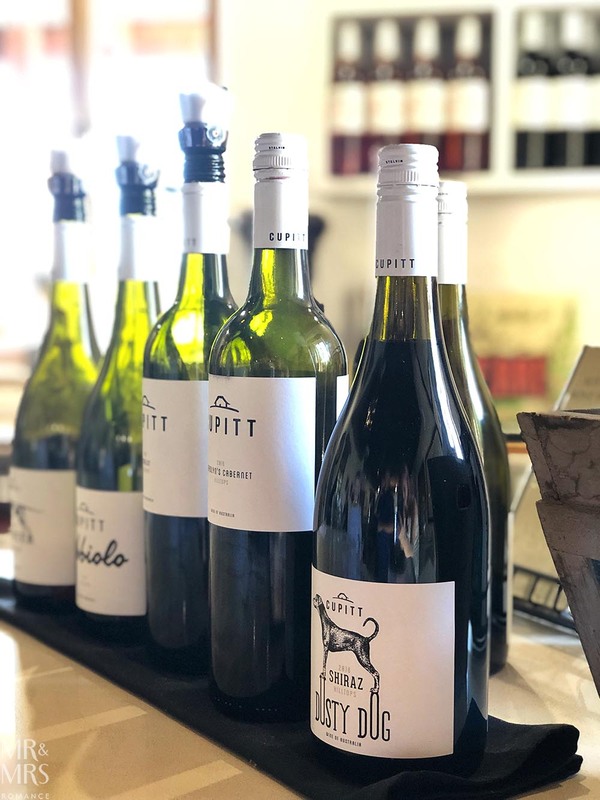 Cupitt’s is a family-run vineyard, micro-brewery and fromagerie, and its cellar door does an excellent tasting. 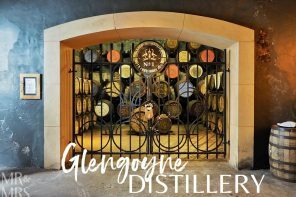 We’re lucky enough to meet Gen (Jen with a ‘G’ or Gin with an ‘e’ as she explains) at the cellar door, who takes us through the delicious range available at Cupitt’s at the moment. We get on like we’ve known each other for years and even find out we share the same date for our anniversaries, which is pretty cool. It could be that Gen has wooed us brilliantly that we find ourselves signing up for the wine club here. But I think it’s more likely that the wine’s just that good. Also, you get a great discount on your first case of wine and at the bar and restaurant. 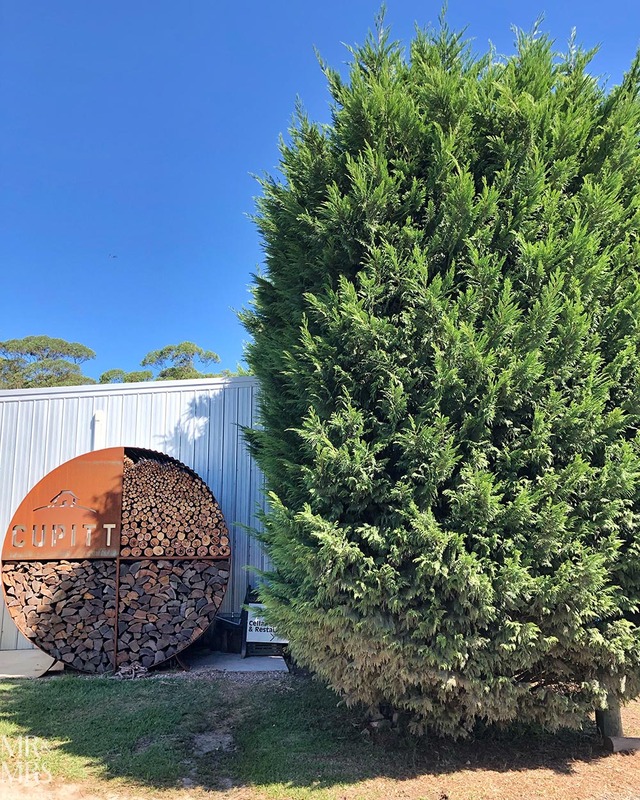 After saying our farewells to Gen, we head straight for the bar and order the cheeseboard, which is loaded with some of the best of the Cupitt fromagerie that Gen’s also sold us on… not that that took much work either! I’ve also ordered an IPA to have with lunch. All I can say is I wish we lived closer to Milton – though on the other hand, I think my waistline is grateful. Before we head back to Sydney, we pop into Milton to check the town out. It’s a charming little place full of boutiques and cafes. 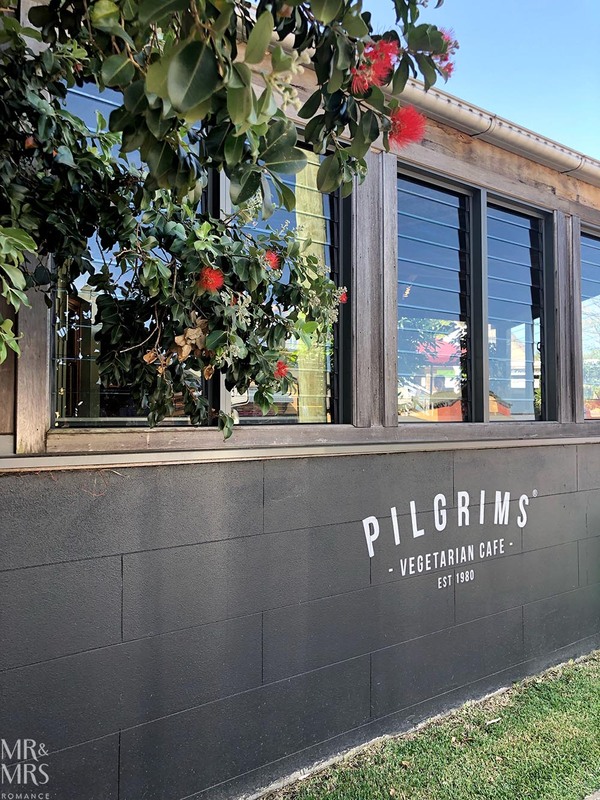 We were recommended many different places to eat while we’re down here, but one place in particular is Pilgrims, which is a vegetarian cafe. Neither of us are too hungry at this point, but we’re keen to see what the fuss is about around Pilgrims. We order a Bliss Burger, which is packed so full it’s falling out when it arrives. 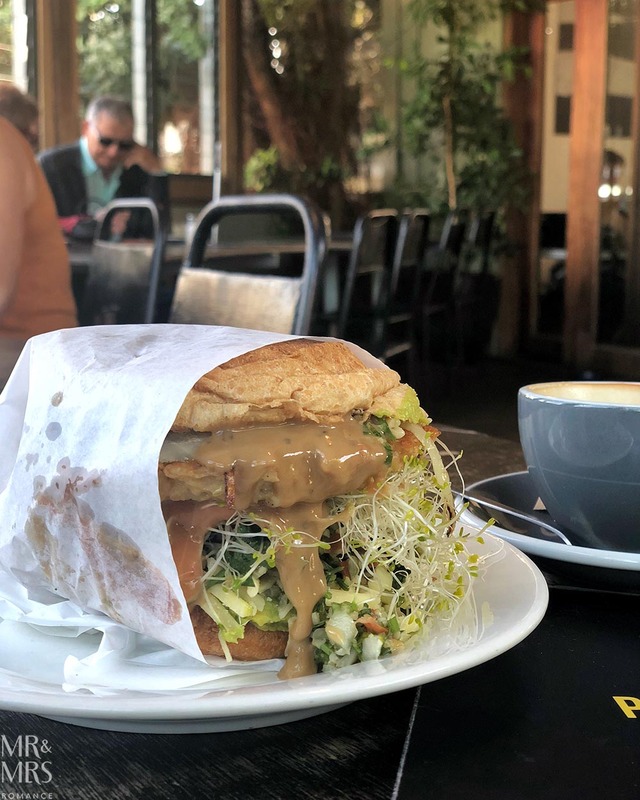 The mixed grain pattie isn’t quite like meat, which is probably the idea, but it’s full of flavour and has a great texture. With it comes fried onion, avocado, grated cheese (which would have been better if it was more melted), tabouli, sprouts and peanut sauce all on a toasted wholemeal roll. Even between the two of us it’s plenty of food and very tasty too. They also do great coffee here, which is always good to know. With one last glimpse of Mollymook Beach and its striking headland coastline, we head north again making our way back to Sydney. As we leave, snorkelers and spear fishermen show us what we’ll be missing out on. 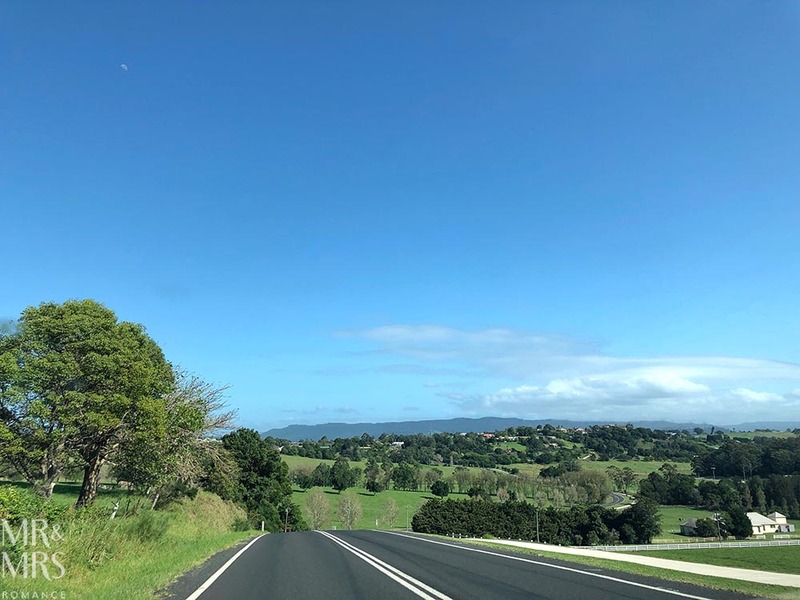 The drive up from Mollymook is really very easy. A little over three hours and we’re back in the rush and push of the city, and our anniversary celebrations are just happy memories. 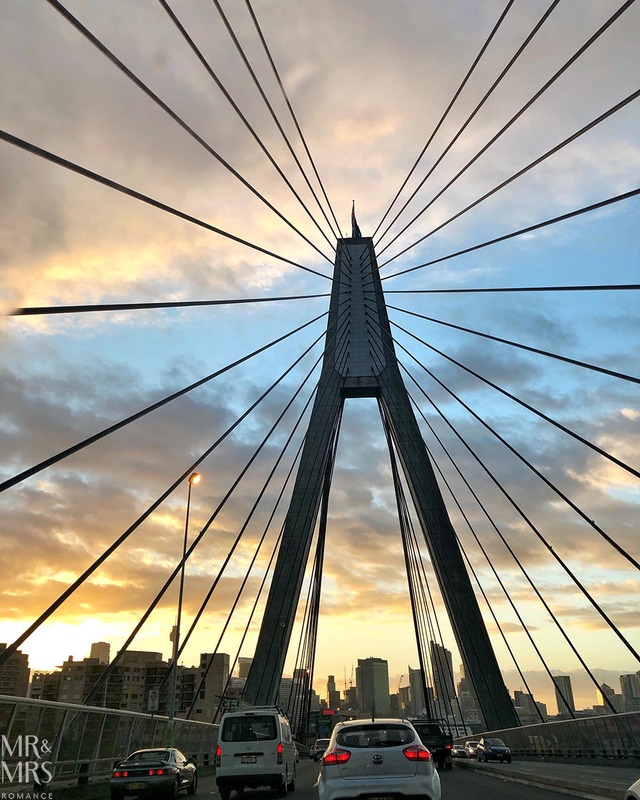 The sun glints through the cables of the Anzac Bridge and home beckons us back. 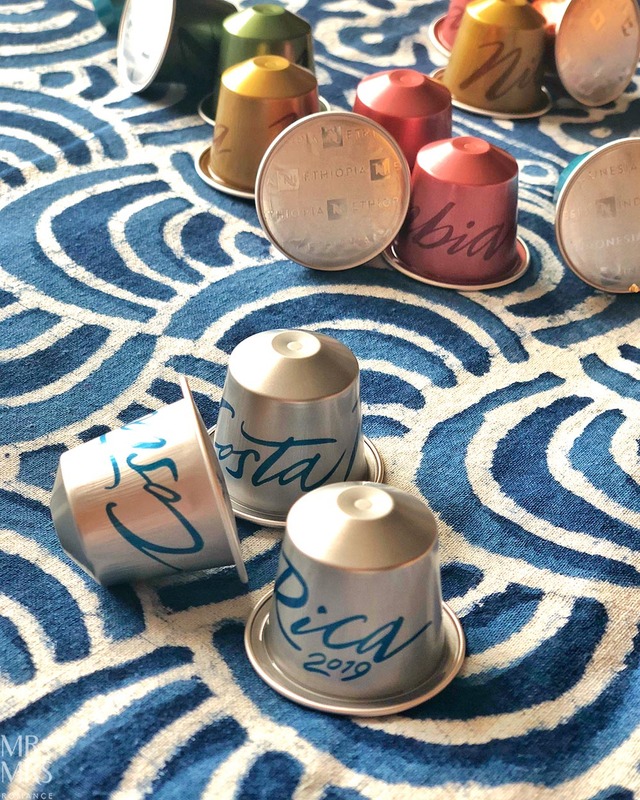 Once home, we settle back in and discover Nespresso has released a new Limited Edition Master Origin – this time from Costa Rica. But this Master Origin seems somehow different to the rest. 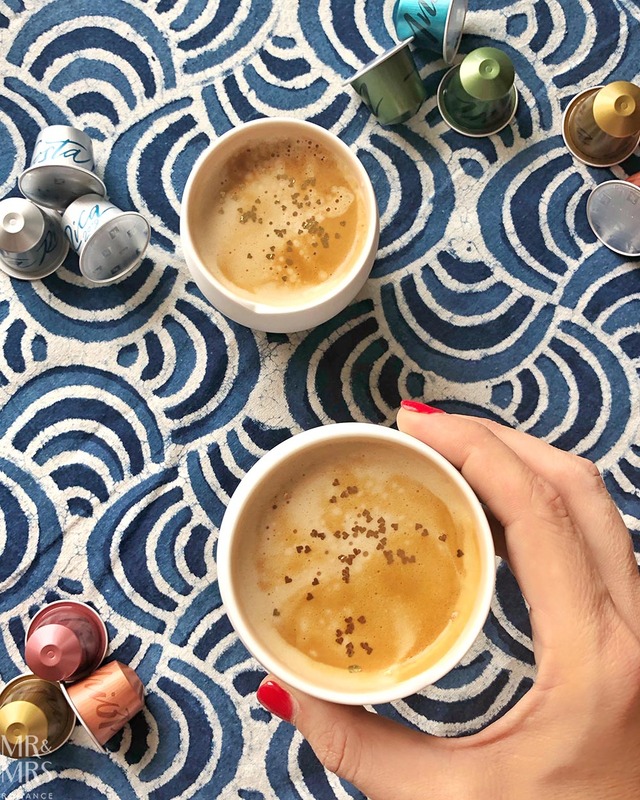 It’s bold enough to have as a latte and blends perfectly with the hot milk, but on its own as an espresso, it’s lovely, and seems much more complex than its level 7 intensity. The coffee comes with some beautifully made cups in the Costa Rica line, which add to the experience. 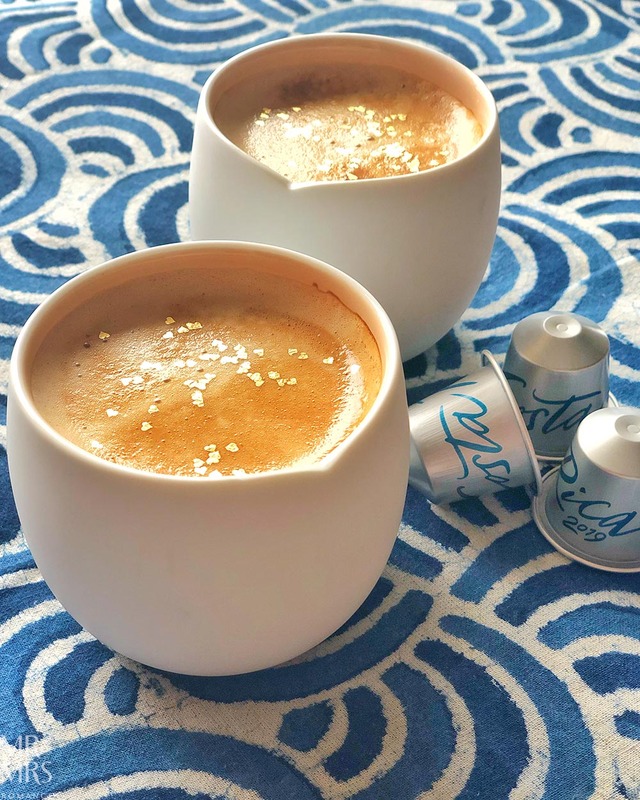 I do love the interesting ranges of cups and accessories Nespresso brings out. Further investigation tells us that this Costa Rica Master Origin coffee is in fact quite special. These Central American beans are all hand-picked then soaked in the hot spring water of a nearby volcano, so perhaps it’s the minerals from the volcanic stream that gives this coffee its intensity. Either way, the end result is a biscuity, sweet coffee with a delicious hazelnut note and a dry finish. Other coffees available in this Master Origin range have similar complexities from the way they are processed and treated before you get to enjoy them. Apart from this excellent Master Origin from Costa Rica, there are ones to try that we’ve talked about before from Indonesia, Ethiopia, India, Nicaragua and Colombia in the original capsule line. There are also two in the Vertuo line that we love too from Mexico and Colombia. The other thing I love about this Costa Rica Master Origin is the story behind the coffee itself. There’s the handpicked fruit and the amazing volcano element to the story as we’ve already mentioned, but also how the locals call coffee the ‘golden bean’. Coffee is the most prized product of Costa Rica, which is said to make up around 11% of the country’s GDP. 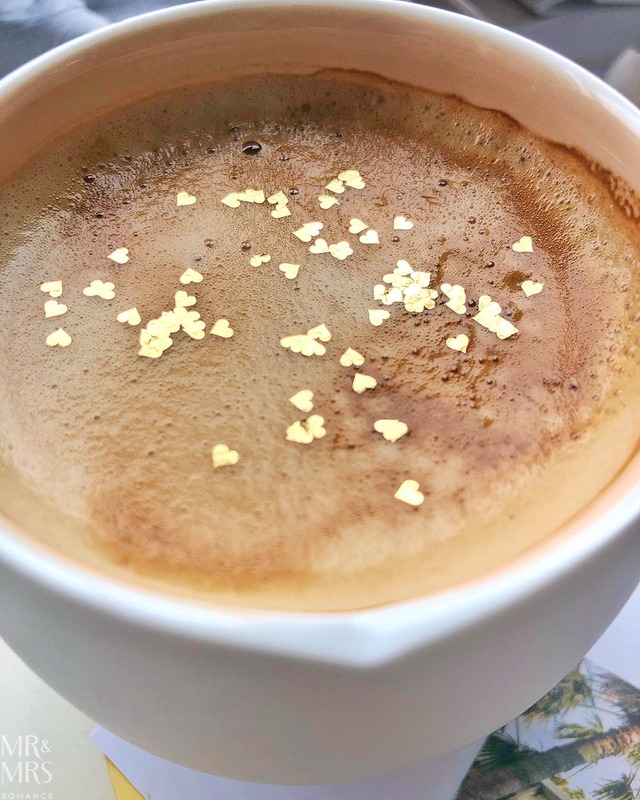 In a nod of recognition to this, Nespresso sent us the coffee with these beautiful little gold leaf hearts to sprinkle on the coffee. It’s a show of recognition that they understand the value of this crop to Costa Rica and a sign that we should value what we’re drinking just as much. 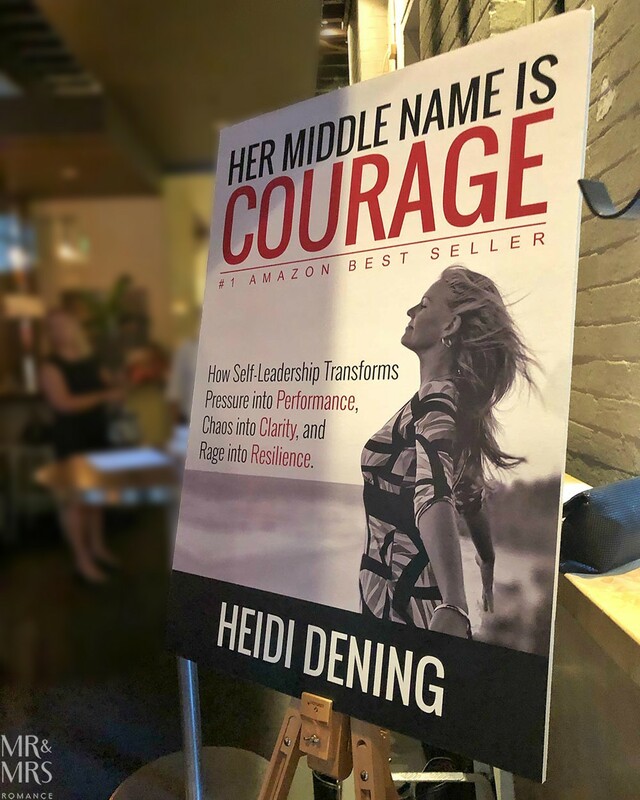 This evening we’re at the Tank Stream Bar for the launch of our friend Heidi Dening’s remarkable book Her Middle Name is Courage. Heidi is a professional orator, educator and businesswoman. Her 20 years’ experience in these fields and her acumen and entrepreneurial-ship have given her the knowledge and courage to overcome many challenges in life. Her book approaches these challenges head on with humour and tenderness. 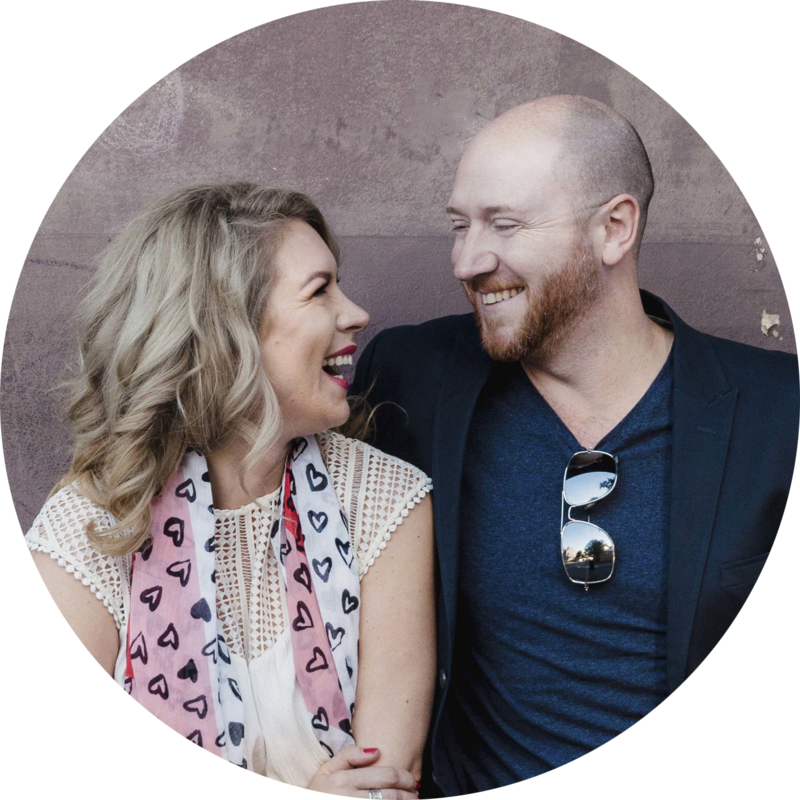 And from her own stories, Heidi leads you through many of the difficult paths in life and teaches self-leadership. And her stories are quite incredible. 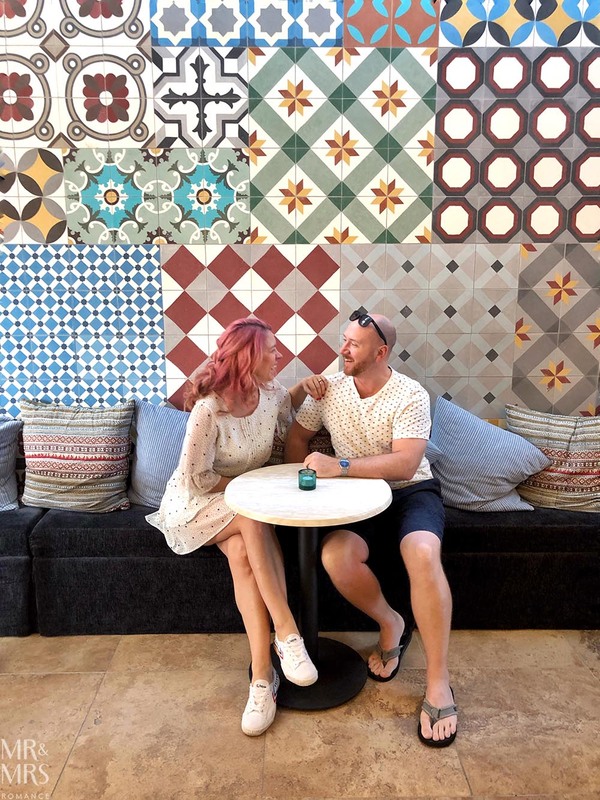 From paralysing illnesses where she lost the use of her legs to gunpoint kidnappings, from tsunami terror to firebomb attacks, Heidi certainly hasn’t lived a quiet life! 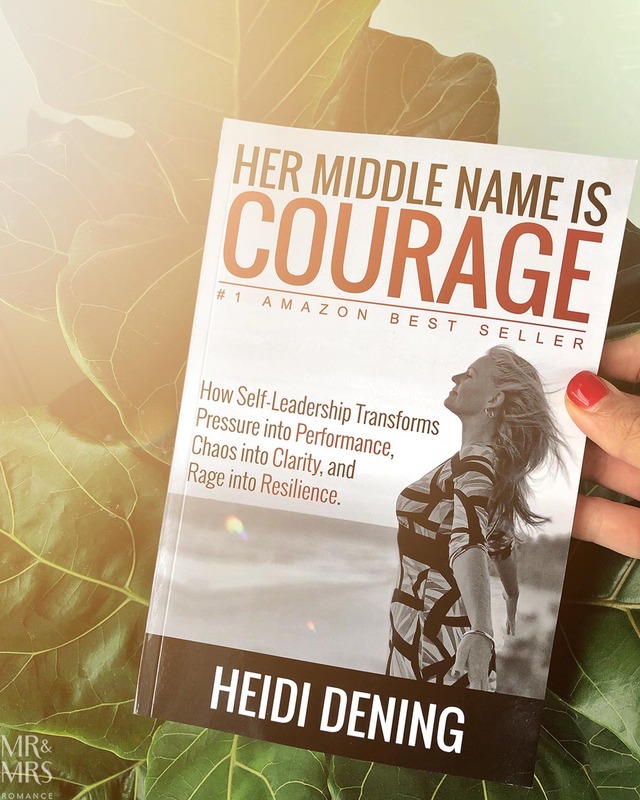 You can buy Heidi’s book Her Middle Name is Courage on Amazon, where it’s a #1 best-seller, here. 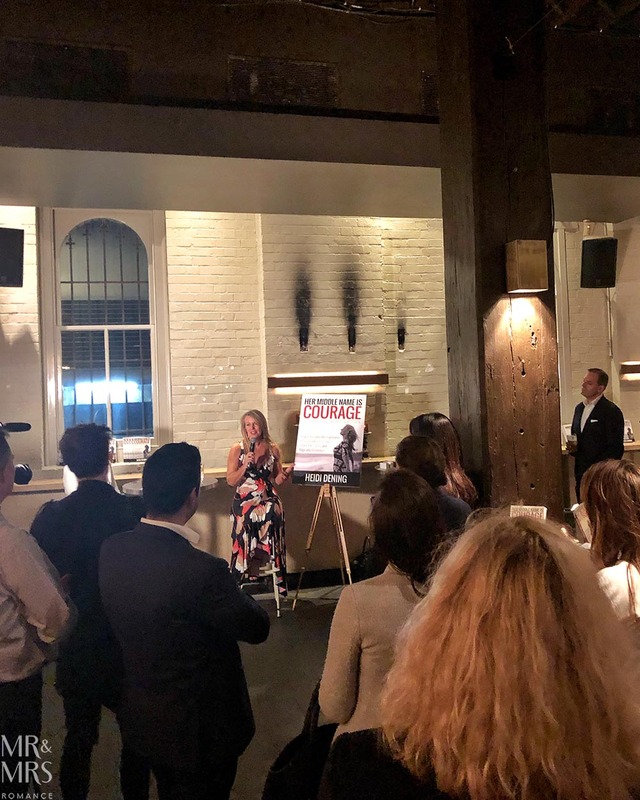 The turn-out at the Tank Stream to see Heidi launch her book is incredible. In fact, there’s almost no room left in the bar! It’s an indication of the kind of magnetic person Heidi is and the influence her positive energy has on people. This also comes out in her writing. I’ve often felt like Dorothy from The Wizard of Oz. I am not sure what the Emerald City will look like at the end of the yellow brick road, but I know that as long as I keep taking one more step forward, I will arrive at a wonderful destination. It’s a great book – and if you want your own copy, keep reading. 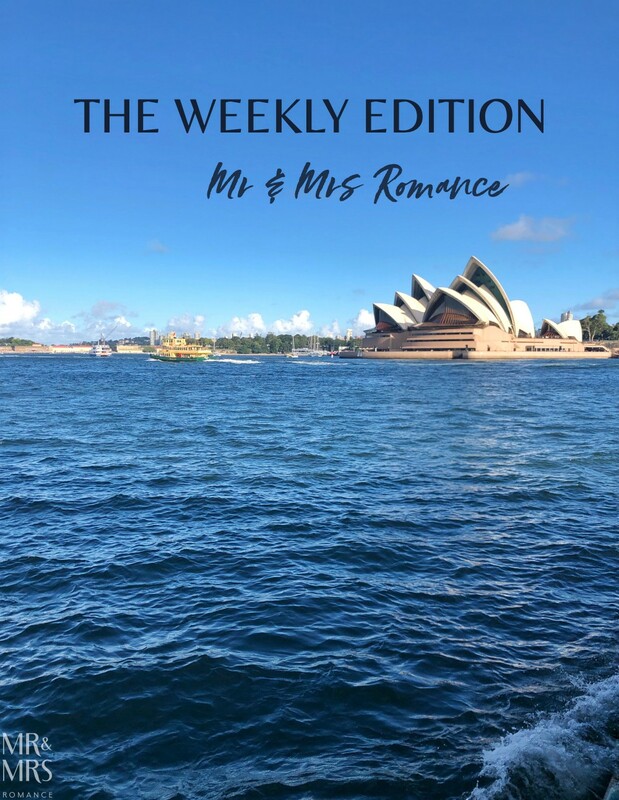 Win a signed copy of Heidi’s book from us by either leaving a comment on this post, signing up to our weekly newsletter, comment and like our Facebook post about this or just emailing us! 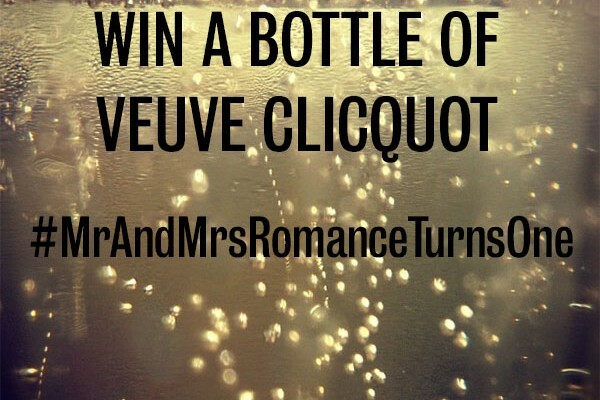 We’ll pick a winner and send out the prize in the next two weeks. I thought we’d end this Weekly Edition on a food note – as it’s never far from my heart – or mouth! 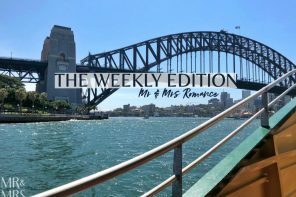 We recently revisited an old haunt in Sydney’s northwest to check out a new renovation. The Carlingford Sports Club – affectionately ‘Carlo Bowlo’ – used to be a pretty good place for a laksa or chicken cashew stir fry, and its schnitty was always on point too. 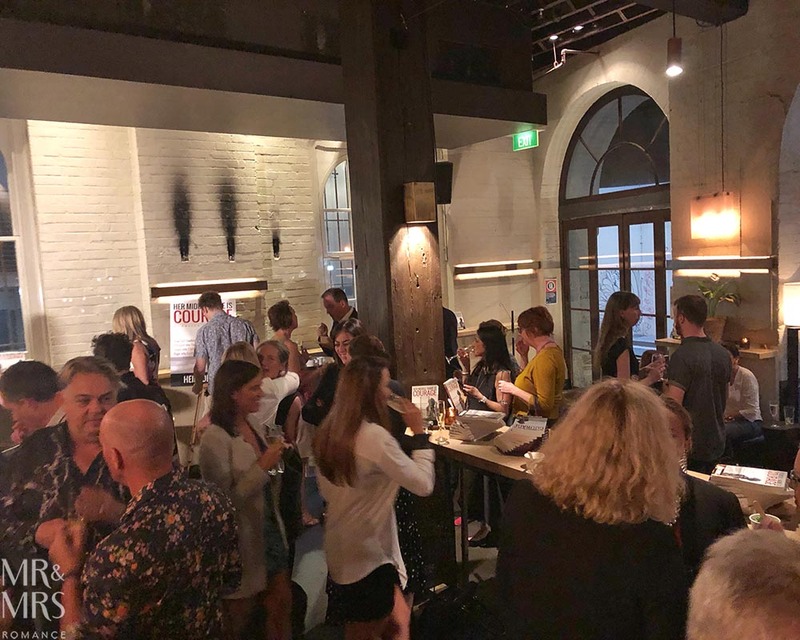 But big changes here in this old-school bowls club have brought a wood-fired pizza oven and new out-door dining area, and and a menu that’s a long way beyond what you usually find in a suburban club. 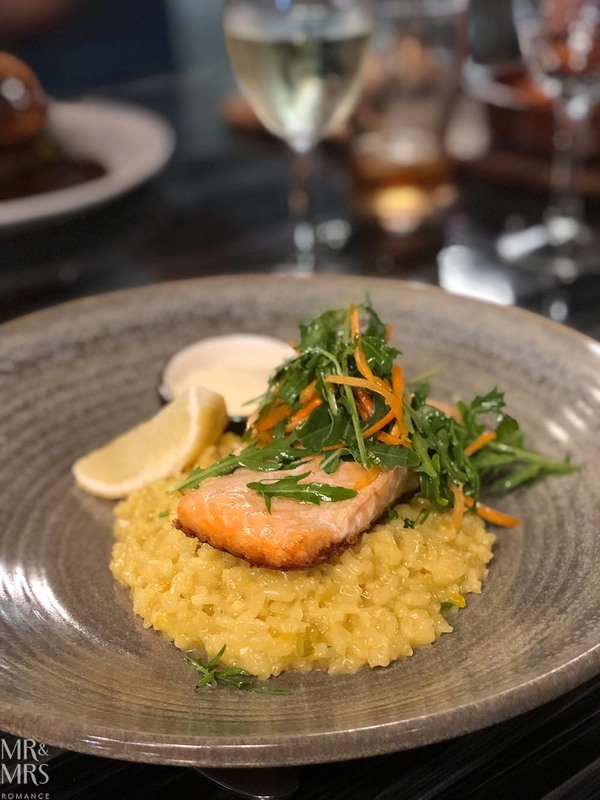 Exhibit #1, grilled salmon risotto and rocket salad. Not bad, ay? 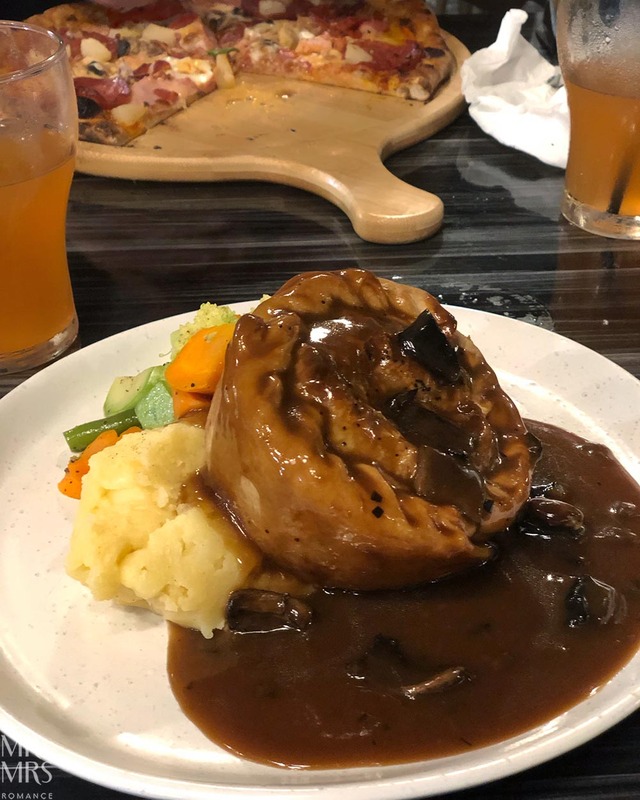 You can just see what’s left of one of the stone-cooked pizzas in the background, but most magnificent is the club’s slow-cooked pulled beef pie, mash and mushroom gravy. This thing of beefy beauty is worth coming here for on its own. And I’m basically waiting for the next opportunity to get back to Carlingford so I can have another! 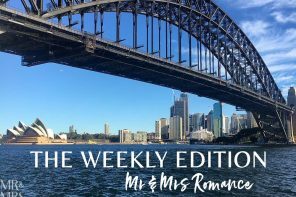 We hope you’ve enjoyed this Weekly Edition and good luck with the book competition. 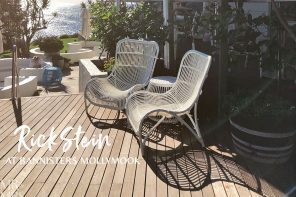 We stayed as guests of Bannisters by the Sea and dined at the pleasure of Rick Stein. 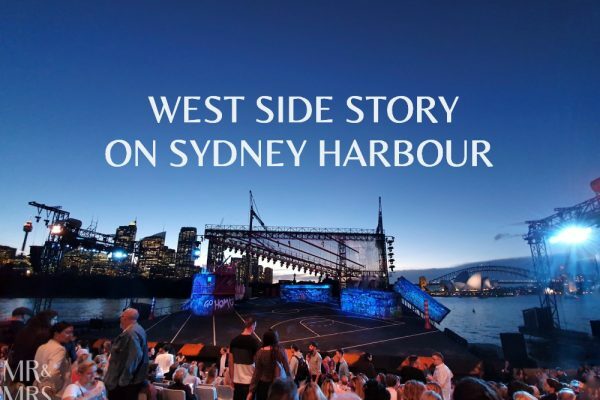 A great story, loved every minute of it, i live in Batemans Bay so i can relate to all the places you visited, Rick Steins ,milton and the winery are my favourite places.Thankyou. 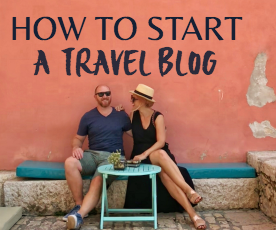 Hi Jim and Chrissy, always enjoy reading about your experiences exploring parts of the world near and far. 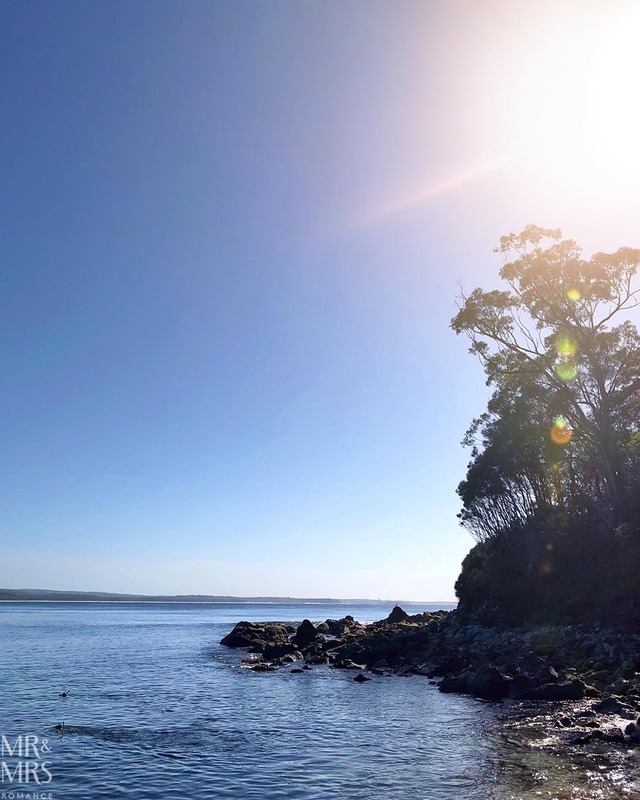 The Shoalhaven is a really special place and definitely one we would love to get to again soon. I remember when Gareth and I visited Bannisters on a holiday in Mollymook. We sat at the lovely outside cafe near their pool and had pizza. The twins were very young and being full of adventure and mischief they both ended up in the pool! The staff immediately raced to get towels for us while Gareth frantically fished them out of the water. Definitely a holiday we will remember! Her Middle Name is Courage sounds like an amazing book by the way. Would love to be in the running for the signed copy please!